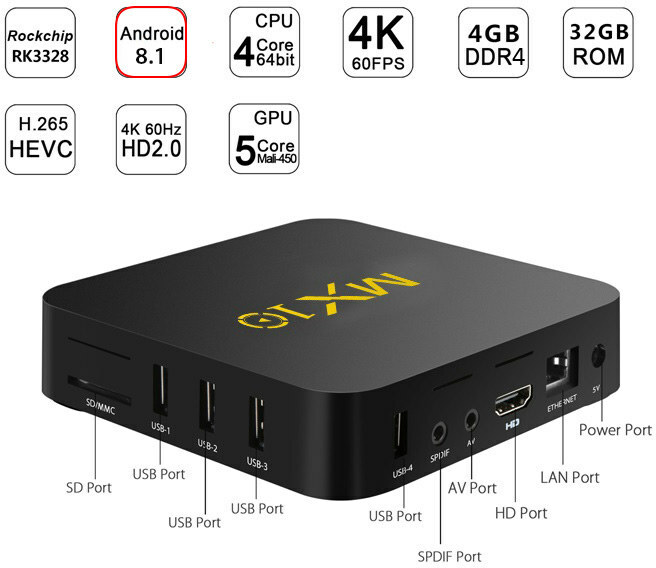 So far, I had no seen any boxes running Android 8.x, but today I’ve come across MX10 TV box based on Rockchip RK3328 processor, that’s said to run Android 8.1 “Oreo”. The box ships with a power adapter, a remote control, a HDMI cable, and a user manual. 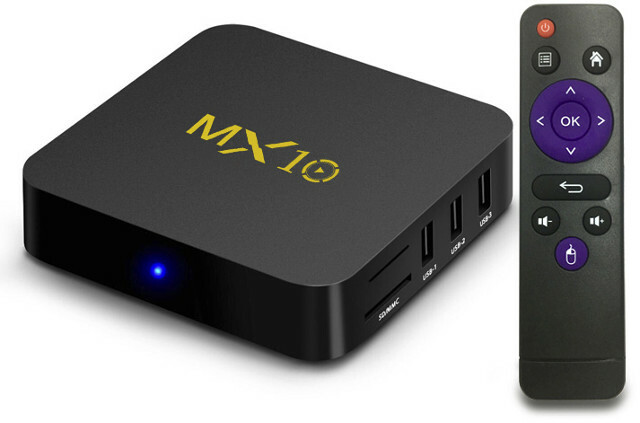 Now, bear in mind that MX10 is not a new TV box, and it first shipped with Android 7.1, but GeekBuying lists it with Android 8.1. You can also download the firmware here (MX10 RK3328.1_8189-6051_20180418_r1) and flash it with Android Tool. MX10 is not the only Rockchip RK3328 device that has gotten an Android 8.1 update though, as at least one other model called iLEPO R10 can be found on Aliexpress with Android Areo. If you are more interested in devices running the official “Android TV OS” – as opposed to “Android OS” as above – NVIDIA Shield Android TV has apparently not gotten an official Android 8.x update just yet, but you can install an unofficial update through LineageOS 15.1, and Xiaomi Mi Box 3 has been spotted with Android 8.0.0 at MWC 2018. So does Android.8 bring Android more closer to Linux, or does it take Android more away from merging with Linux? I wonder if it will be project treble compatible? Isnt one of the requirements of shipping with oreo, Project treble compatibility? No it’s not. It’s not a requirement, but not taking advantage of it would be foolish indeed. Highly doubt they will have treble implemented on this. They cannot even update or get the auto update function to work in the firmware installed on the box. If vendor is ok being without google apps, they don’t need to respect any of such rule. I think that rare TV boxes come with google apps preinstalled, at least legaly. Furthermore, there is exception to being project treble compatible – if a device (or SoC?) has older Android available and Oreo is just an update, it doesn’t need to be treble compatible. It’s not shipping with android 8.0+ initially, so treble support is optional. Is there a group that ports newer Android to TV boxes? It shouldn’t be too hard once you get the first device for a soc ported to do the rest of them. Most of them just use one of several reference boards for a given soc to begin with. e.g. Get LOS 15.1 ported to a soc, do the few changes you need for drivers and dtb per device then load Magisk (bypass the new GApps checks), and Open GApps tvstock on it and you have a standard interface and much better than most vendors provide out of the box. Wish I’d seen your article first – I ordered one based on the product description and was disappointed to see it came with Android 7.1 and no updates available. Guess I’ll hang on and hopefully there will be an update soon to match the description they are using to sell the unit! Don’t worry. I have one with Oreo 8.1 onboard and have run into issues with apps not running due to detecting that the device is rooted. I don’t know if 7.1 has this issue. SCISHION AI ONE is another Android 8.1 TV box, also based on RK3328 with 2GB RAM/16GB storage. Added link to Android 8.1 firmware for MX10 in post. It seems they have two revision of the box: R1 and R2 for boxes with “Pass 2018/05/16” label on the bottom.